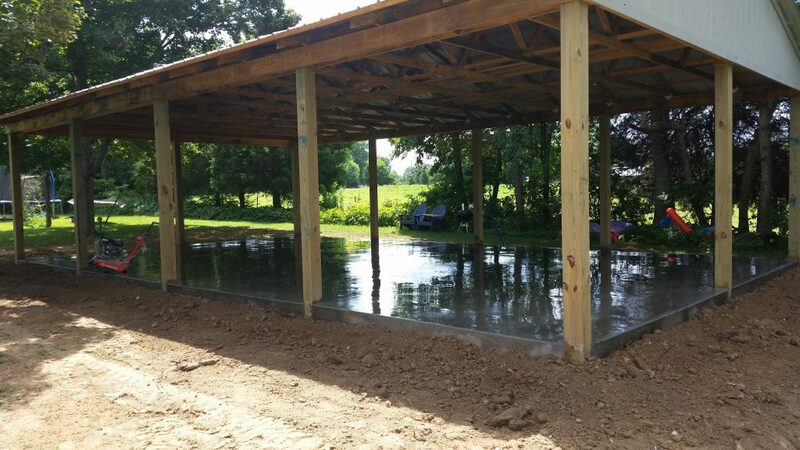 This project was a concrete slab for a backyard pavilion. 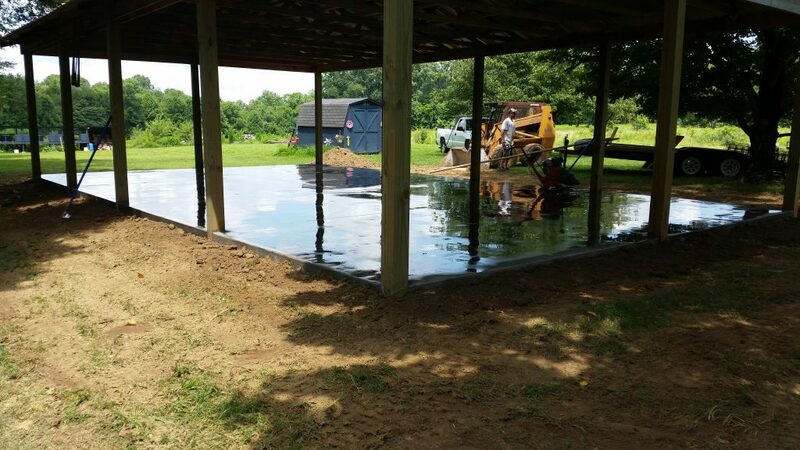 It had been built for a while and the customer used it as a covered play area for their young children. 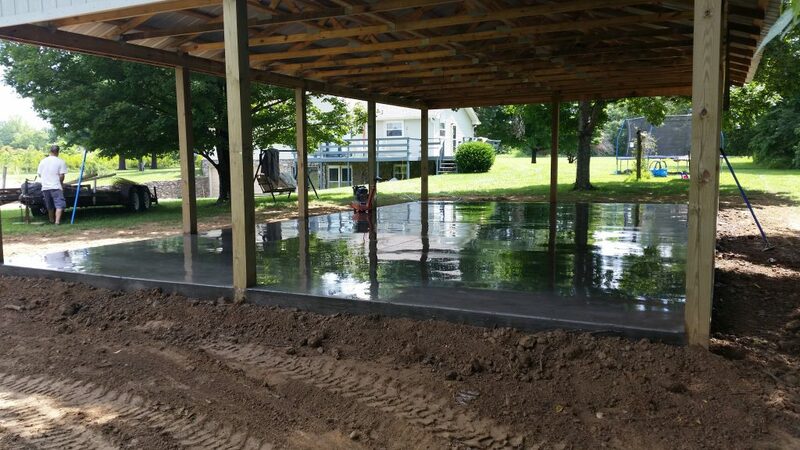 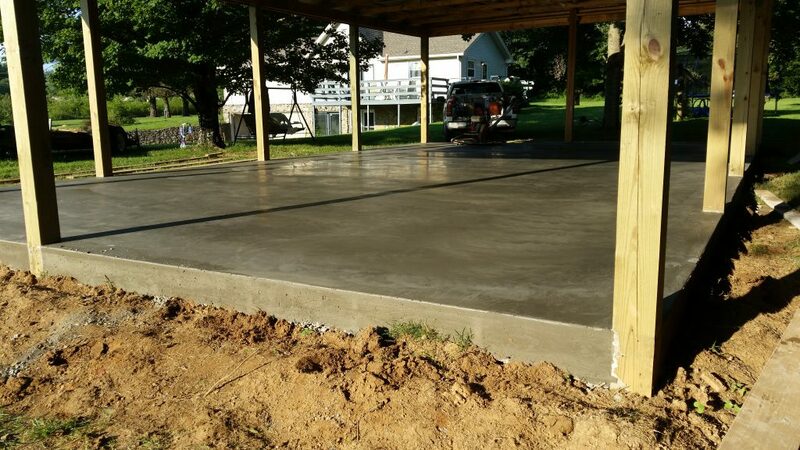 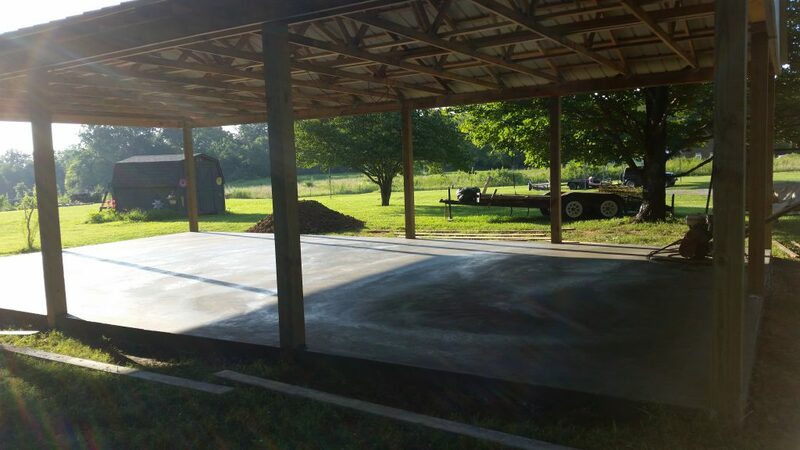 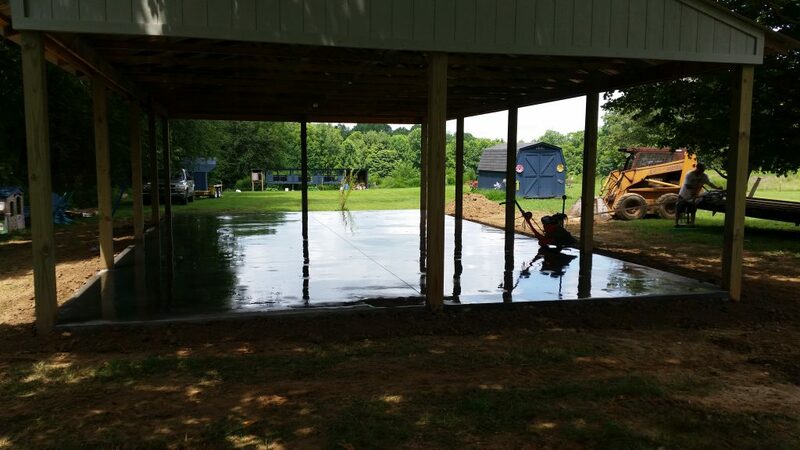 Wanting to make better use of the area, the customer decided to add a concrete slab to the pavilion. 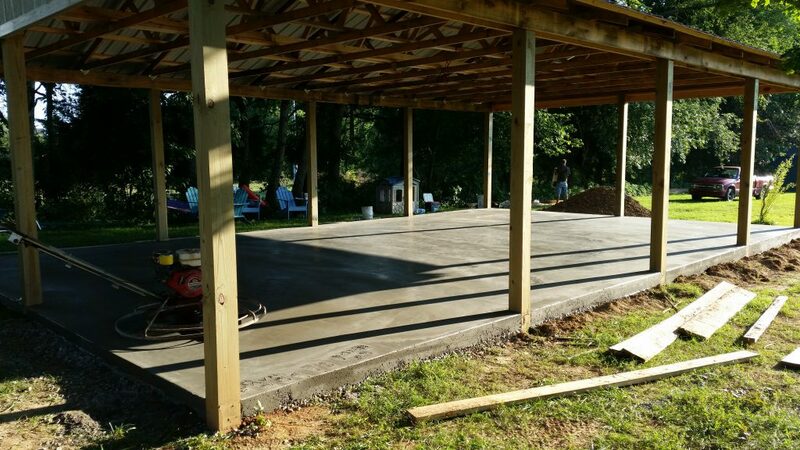 It’s now a perfect play area, sitting area, and barbeque spot for family get-togethers. 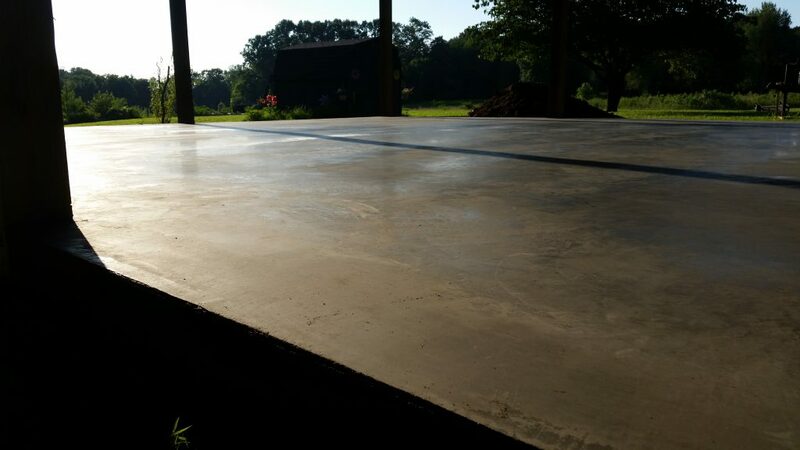 The concrete mix is 3500 psi, wire reinforced, and a slick finish. 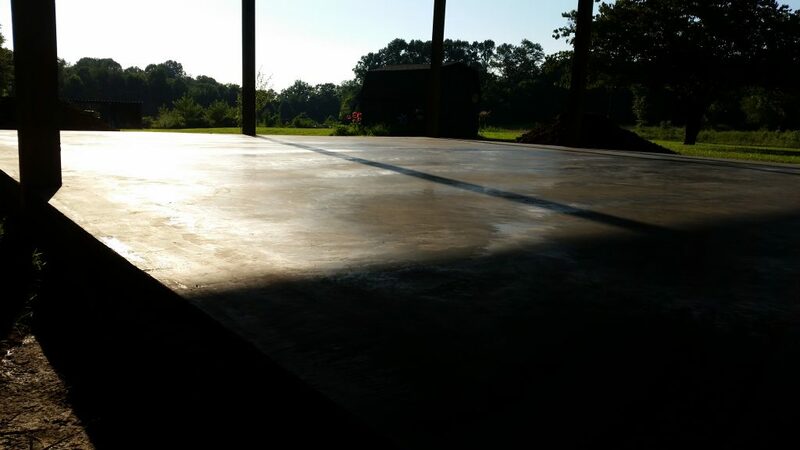 Control joints were cut at all posts to reduce the chances of cracking.